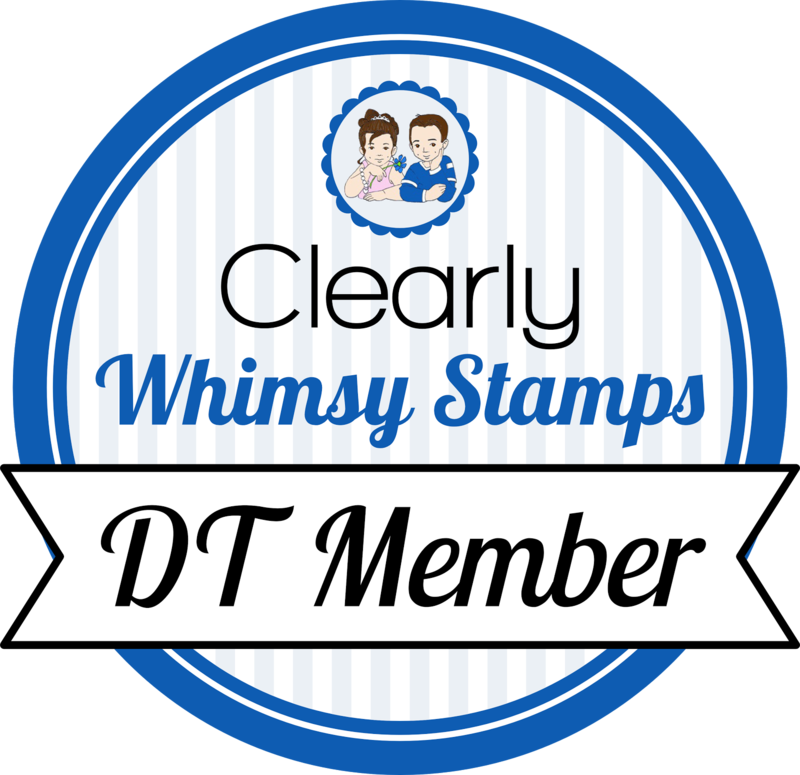 Today's Stamp Something challenge, was to (are you ready for this?) stamp something!!! So I did. I stamped the cookies in rich cocoa memento ink and colored with copics. I even used the colorless blender for the first time for something other than fixing mistakes, lol! The spiral punch and some ribbon add the final touches. Make sure you check out the rest of the team's samples, and go stamp something! This week's candy is hosted by Kim from MFT, so you know it will be great! This is fantabulous! 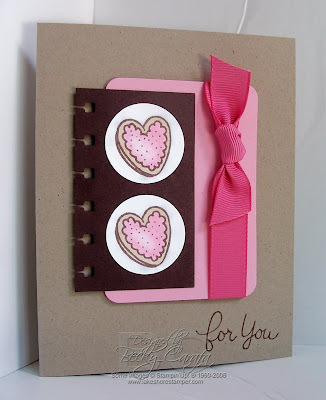 I love the pink piece with the rounded corners peeking out from behind with the pretty ribbon! This is just too cute! I love the design! Becky, great card! I love the colors and haven't paired them in a while... hmmm. Also, I LOL'd at the comment you left on my blog about the craft fairs- yes they are both indoors! :) Also, I picked Frames With a Flourish for my free set FYI. I thought it would great for scrapbooking. Got our swaps yesterday (or day before?!) they are amazing as always! Thanks for hosting! This is a fabulous design and the card is so striking. Love the yummy colors too! what a dee-lish card, Becky! love the ribbon and your coloring is awesome. very cute- love CHF Stamps!!! Great card Becky!! I think you pushed me over the edge on that spiral punch, I have to have it!! What a yummy looking card! GREAT job!! I see you got a Kim Hughes set...hmmmm...could someone have enabled you???? This is adorable...love the two different pinks together!! Oh and great job with the blender pen! !